Born in a poor family with five brothers and sisters, four of them were born in October, later on Tho Nguyen’s first daughter and his wife also were born in October. That’s why October is a special month of the year for Tho Nguyen. Also, October is the beginning of school season in Vietnam, after 3 moth Summer holiday, school children are happy to go back to school. 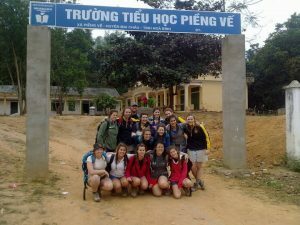 In many places of Vietnam, particularly, the rural villages and remote areas like the place where Tho Nguyen comes from, In order to see the smiles blossoming on the face of the children, playing with their classmates in the playground and wearing school uniforms and backpacks, parents have to work harder in the farms, sweat and even blood have to drop into the fields. Understanding the hardships of parents, many children don’t want to go to school because they feel sorry for their parents. 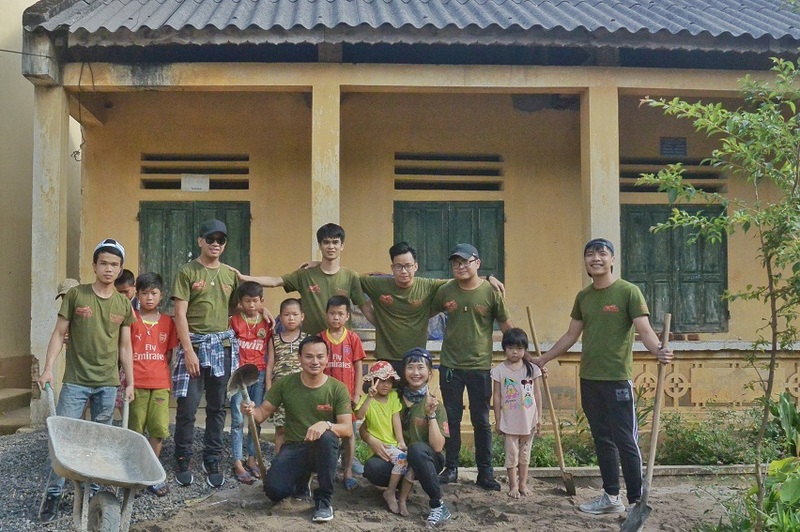 In the childhood, Tho Nguyen had to give up school many times to help parents work in the farm to save money for his younger brothers and sisters to pay for school fees as well as having chance to sit in the classrooms. At the time he felt so sad to watch his brothers and sisters going to school every morning, he wished he could have had chance to go to school to play with his friends in the school playground not working in the paddy fields with his parents. However, the dreams are beautiful but they hardly come true and every single night the sounds of school drum still follow him into his dream. Having waken up at midnight, he saw nothing but the darkness and feeling nothing but the poverty seized around him and his little family, he told himself “if only he had a magic stick, he would have had a chance to go to school like his friends. 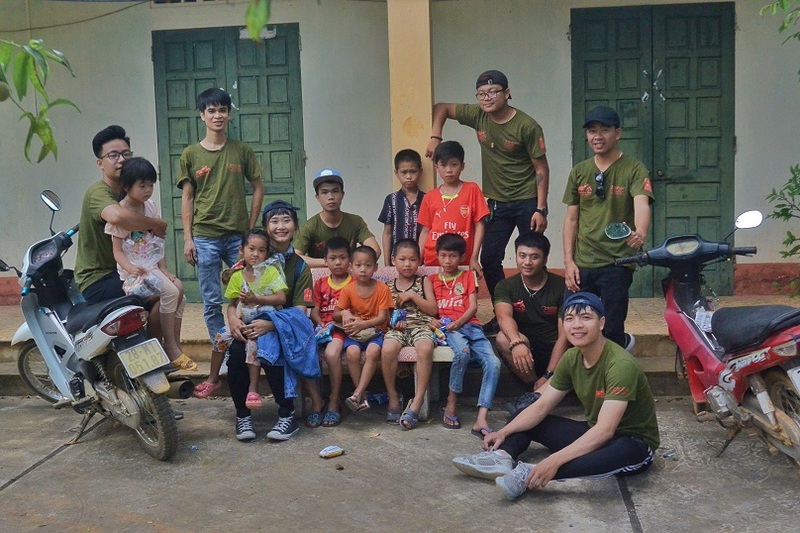 One morning Tho Nguyen decided to ask his parents to give him a chance to go back to school to change his life as he thought it is the only way to get out of the poverty and helping his family. Understanding his dream, his parents let him go back to school. At times, tearing rolling on his mother’s face and sometimes hidden behind her bamboo hat. Like a bird just got out of the cage to the sky! when going back to school it didn’t take Tho so long to become an excellent student as he studied with his heart, love and passion. The day he passed into the university in Hanoi was a beautiful day for him but probably the happiest persons were his parents! He saw the pride sparkling in his parents’ eyes, once again,the tears rolling on mother’s face while father was so busy to hang out the village to boast about his son’s achievements. Passing into the university was a great effort of Tho Nguyen! Since then he always strive to do something to help disadvantaged children have chance to go to school. As a result, October Foundation was born in 2008. 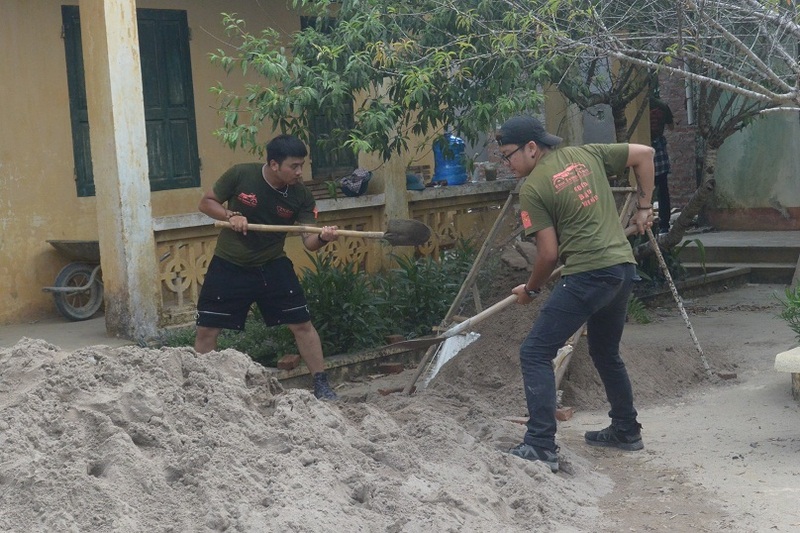 When being student, Tho Nguyen has participated in many Summer Volunteer campaigns of his university. In the green color of teenager volunteering shirt. 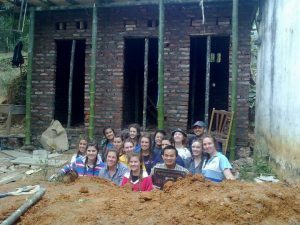 Tho Nguyen and his friends have been to several schools in the remote areas to spend our time and passion there to teach lovely kids of the ethnic minority communities or the poor rural villages in the North of Vietnam. Though what they could do was very small, the emotion of the kids and the peace of mind left the best life-time memories in his mind. 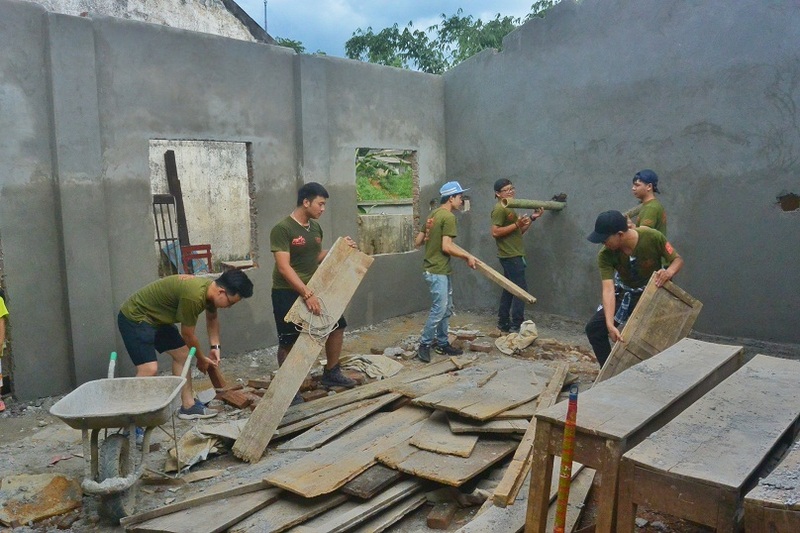 In October 2008, Tho Nguyen decided to establish October Foundation from the bottom of his heart for disadvantaged children- Spending his own money and organizing cycling and volunteering trips throughout Vietnam to raise an education fund for disadvantaged school children in the remote rural areas and orphanage centers in Vietnam as a way to give back to the world that has given us. Understanding deeply what Tho Nguyen has been doing is the right thing, Ken Luu and Hai Phung have been always on his side to support him from the very beginning of October Foundation. 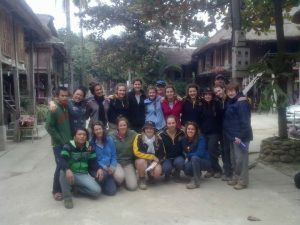 Since then, October Found has been supported by many people in the world as friends of Tho Nguyen and friends of his friends. 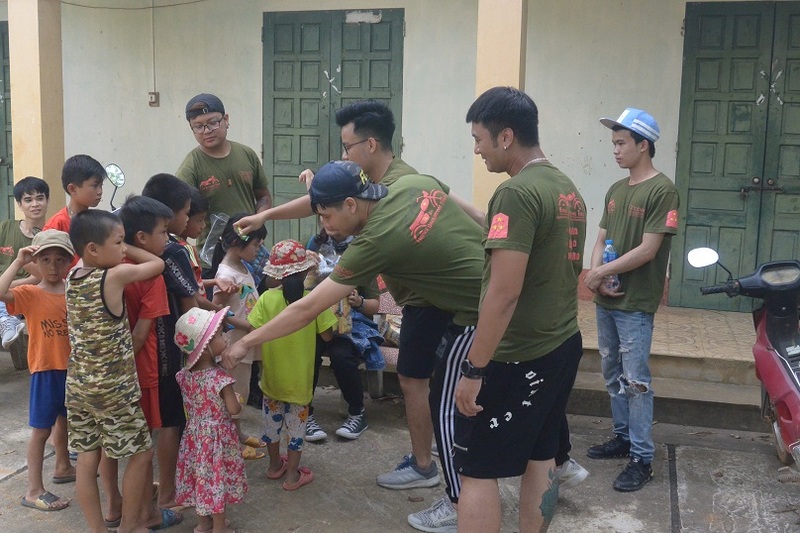 Since Hanoi Backstreet Tours was founded, the dream-team of three brothers from different mothers decided to merge it with October Foundation to support the education of young people in the remote rural villages and orphanage centers, giving meals to the poor patients in the hospitals, disadvantaged and street kids in the cities and more! Of course, none of this would be possible without your help. 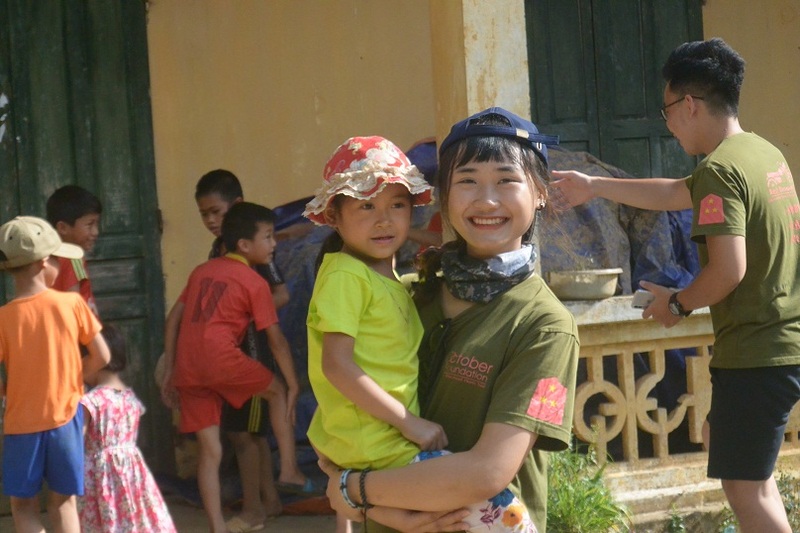 A portion of the proceeds of every trip with HANOI BACKSTREET TOURS is dedicated to donate to October Foundation—so just as your life will be enriched by the discoveries you’ll make on your journey, you’ll also help to enrich the lives of the people you’ll meet along the way. Thank you for traveling with us, and for helping to help right people at the right time and right places!